This poster may not be the most visually exciting from May 1968, but it would seem to fill in some missing history. 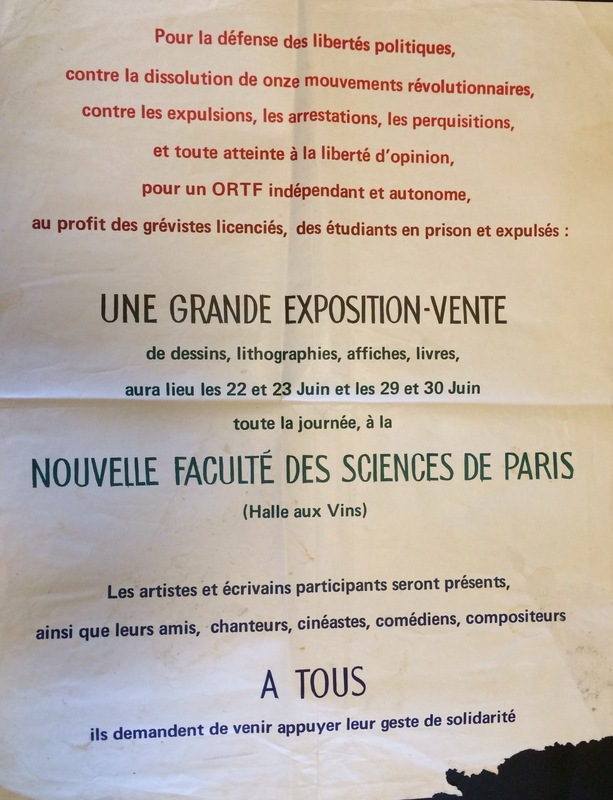 I have known for a while that a number of artists created works to be sold in support of the striking workers and protesting students (amongst them Karel Appel and Asger Jorn). But I had no idea how this was organised – and this looks very much like the answer! 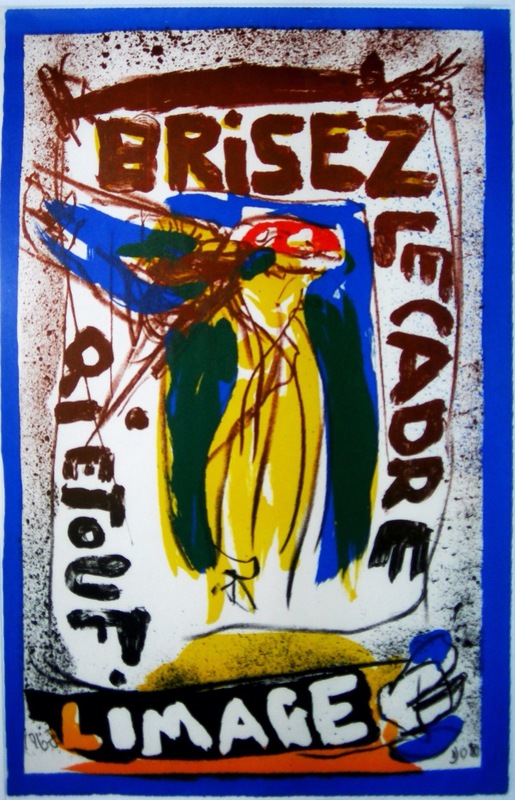 This is one of 4 lithographs Asger Jorn (ex-Cobra, ex-Situationist International) produced to be sold in support of the student movement. The 4 were actually produced on a single sheet which was cut – hence the variable dimensions of every copy (the print size, though, is obviously consistent).